As part of the last meeting of the Convention on International Trade of Endangered Species of Wild Fauna and Flora (CITES), held this week in Bangkok (Thailand), the national government banned fishing for oceanic whitetip shark (Carcharhinus longimanus) in Brazilian waters. The decision was made in order to preserve this endangered species. I’ve recently discovered “Extreme Bucket List“, a great blog focusing on unique aspects of adventure. As I was reading the interesting Bucket List adventures, I asked myself: “What is on my life list?”. Among my many life goals, diving the Top 10 dive sites of the world made it to the top of the list! There are so many stunning places I’m dreaming of visiting to encounter some of the most amazing sea creatures! 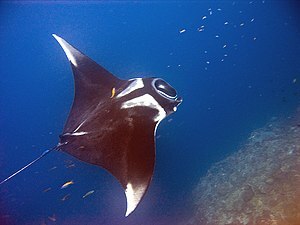 Diving in the Maldives with the majestic Manta Ray for example, or South Africa to encounter the misunderstood Great White shark ; or experiencing the magic of the Galapagos to observe schooling of Scalloped Hammerhead sharks and gentle Whale Sharks, or simply diving in the UK for a chance to see the harmless and very rare Basking shark. Shark and ray populations have seriously declined over the past thirty years. 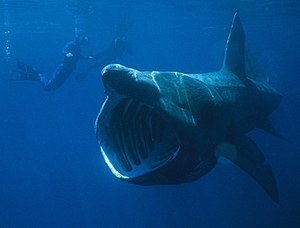 Great White sharks, Basking Sharks and Whale Sharks are listed as endangered species on the IUCN Red List. Scalloped Hammerhead sharks have been fished and finned to near extinction, their numbers dropping around 95 percent across the world. An alarming rise in the trade of Manta and Mobula ray hunting has put the existence of the species under serious threat. Each year, up to 73 million sharks are killed primarily for their fins, threatening one-third of open ocean sharks with extinction. Unless more effective and enforceable protection measures are implemented to save these species, these beautiful sharks and many others such as Blue sharks and Porbeagle will become extinct. We must ensure that sharks are around for ocean health and the future generations. I can’t imagine an ocean without sharks. Can you? Sadly, this seems more likely by the day as our oceans witness a rapid and global rise in unsustainable shark fishing. It’s high time to take action and rally support for shark conservation! It’s time to demand policy changes to secure protections for the most vulnerable shark species. I have joined the movement of divers protecting the ocean planet one dive at a time. Will you join me? FACT: An estimated 50 million sharks are caught unintentionally every year. But scientists say it could be prevented by a radical proposal of mobile marine reserves. Interesting concept! How protection would be enforced though! It’s complicated enough with static MPAs. What are your thoughts? Sharks the world over are in deep trouble. 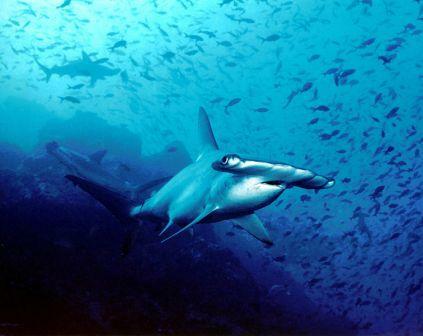 Eilperin, a reporter at The Washington Post, points out that within the last few decades, 99 percent of smooth hammerhead, dusky, and bull sharks have been wiped out, often caught on long lines intended for more valuable food species. Other species are faring little better: Tiger sharks and scalloped hammerheads are down by 97 percent, silky sharks by 90 percent, white thresher sharks in the northwest Atlantic by 75 percent. 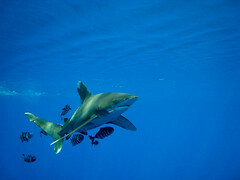 Oceanic white tip sharks may once have been the most abundant large animal on earth. But since the 1950s their population in the Gulf of Mexico has declined by 99 percent. By exterminating 90 percent of the oceans top predators, Eilperin says, humans are conducting a massive, uncontrolled experiment on the oceans. The initial results from that experiment are frightening in part because bad news for top predators is great news for their prey. Off the East Coast, the demise of sharks has resulted in a population explosion of cownose rays. The bottom-feeding rays in turn have decimated scallop, oyster, and clam populations to the point where North Carolina had to close its once lucrative scallop fishery. The oceans are suddenly awash in explosions of jellyfish, which devour young food species. Some scientists think the absence of sharks may be one explanation for out-of-control jellyfish populations. Of all the reasons for the decline in shark numbers, none is as inexplicable—at least to Westerners—as the trade in shark fins for use in soup, primarily in Hong Kong and China. Some 73 million sharks, representing 30 to 40 different species, are killed each year for the fin trade. Often the fins are cut off and the shark thrown back in the water alive — for a short time. Fins can sell for as much as $880 per pound in Hong Kong, and a single fin from a basking shark (the world’s second largest fish) sold for $57,000 in Singapore in 2003. For what? 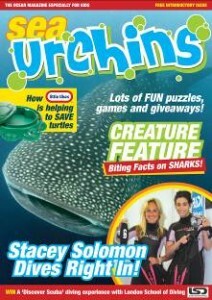 According to Eilperin, shark fins have absolutely no culinary merit whatsoever, no flavor and no nutrition. All they do is add a little texture to a soup holding bits of shrimp and seafood in suspension. The fin component of her bowl was a “gelatinous string” about an inch long, a “translucent, tasteless bit of noodle” that, she says could be replaced by a plain rice noodle at a moment’s notice. But shark’s fin is valued in Asian communities around the world as a status symbol, and fin is an essential ingredient at the wedding feast of any upwardly mobile couple—of which there are increasing millions as the Chinese economy grows. Asians are by no means the only culprits. One of the more barbaric characters Eilperin introduces us to is Mark “The Shark” Quartiano, a charter boat captain from Miami who has killed in excess of 100,000 sharks (many of them pregnant females) in a career devoted to giving his vacationing clients a moment or two of macho pride and a few photographs of vanquished sea monsters to show off when they get back home. But Eilperin shows that we still have a chance to save sharks. Shark-watching ecotourism is becoming popular in parts of South Africa, Mexico, and the Caribbean, making the animals more valuable alive than dead. Marine sanctuaries have been established, and no fish can be taken there. And rigorous enforcement of existing laws, often by local fishermen, has been effective. But to succeed, she says, humans will have to curb our worst excesses. A tall order. 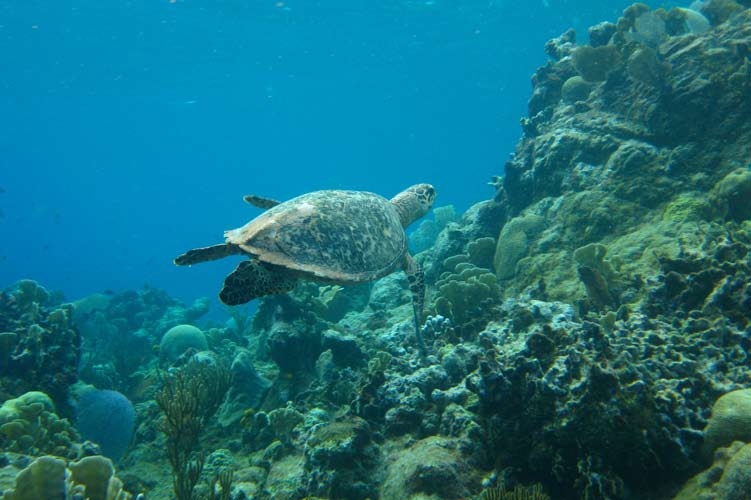 Published on: June, 22 2011 – Susan Cohn Rockfeller, Huff Post Green – Thousands of Gulf Sea Turtles Killed by Shrimp Trawls. Imagine that you’re going for a swim in the ocean, when suddenly you’re scooped up by an enormous net that drags you under. Scrambling to find an escape, you realize you’re stuck, and you won’t be able to come up for air. There’s no way out. This is the reality for many sea turtles in the Gulf of Mexico, who have been turning up dead in appalling numbers. Last year more than 600 sea turtles were found either dead or injured in the Gulf, which is more than six times the average over the last two decades. And already in 2011, more than 560 have washed up. And since only a miniscule portion of dead or injured sea turtles wash up on shore, the real number of turtles dying is enormous. I was shocked to learn that while sea turtles have been undoubtedly affected by the massive oil spill last year, there’s another culprit: Gulf of Mexico shrimp trawls. Not all trawls in the Gulf shrimp fishery are required to use Turtle Excluder Devices (TEDs), which are escape hatches that prevent sea turtles from drowning in trawl nets. Without TEDs, shrimp trawls are essentially sea turtle death traps. Like you and me, sea turtles are air-breathers; when they get caught in fishing nets they may be unable to come up for air. Each of the six sea turtle species found in U.S. waters is listed as either endangered or threatened under the Endangered Species Act, which means that they may go extinct in the foreseeable future. But did you know that under the Endangered Species Act, the government authorizes fisheries to injure or kill a specific number of sea turtles? That’s right, and more than 98 percent of all sea turtle interactions authorized to U.S. fisheries are given to the shrimp fishery. The government assumed that TEDs are 97 percent effective and authorized the shrimp fishery to kill 1,451 loggerhead sea turtles. Oceana recently released evidence that so many shrimp trawls are not using the escape hatches properly that the number of loggerheads killed is likely thousands higher. Loggerhead nesting populations in the U.S. are struggling — and these shrimp trawls aren’t helping. The solution, as Oceana and other environmental organizations have pointed out, is simple: the government must require TEDs in all trawls, especially shrimp trawls, and enforce these regulations — or else shut down the Gulf shrimp fishery. Sea turtles have been swimming in the oceans for millions of years, and now these ancient mariners are being unnecessarily pushed toward extinction. It’s time to give sea turtles a breather. Susan Rockefeller is on the board of directors of Oceana, the international ocean conservation organization.